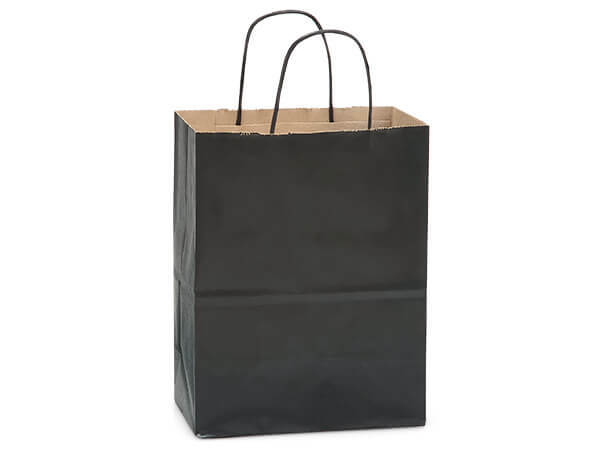 Cub Black Recycled Kraft Bags 250 Pk 8x4-3/4x10-1/2"
Our natural brown kraft color shopping bags come in a wide variety of colors ranging from bright pink and blue to the more traditional metallic gold, silver and black! We have gift bags for all occasions including Weddings, Christmas, Valentine's Day and Birthdays in sizes ranging from small to large and an assortment of sizes. Easily complete your look with our solid color tissue paper! All of our kraft color paper shopping bags are 50% recycled and proudly Made in the USA! Yes! We can print it! Personalize your bags with a company name and/or logo. Call our Custom Print Department at (800) 547-9727 Ext. 4 for details. Add Your Logo to These Bags!